King’s Kush Auto Feminised by Greenhouse Seeds is a new strain that was developed by crossing King’s Kush and Ruderalis genetics. These Autoflowering feminised cannabis seeds by Greenhouse Seed Co have an indoor, 9 week total crop time and flowering period of 7 weeks and produce good yielding, short plants. . King’s Kush Auto feminised has a long lasting, typical Kush, full body stone. 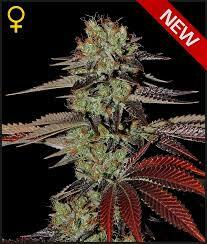 Good yielder, short plant with small branching A typical Kush body effect, long lasting. 9 weeks total crop time. Can be flowered any time of the year provided temperature stays above 10° C.